Not all credit cards are created equal. The type of credit card you qualify for depends on your credit history and creditworthiness. Getting approved for unsecured credit cards generally means you have a good history of managing credit well or you have a new credit history with no blemishes. A secured credit card generally means the credit card issuer is taking on risk by extending you credit. Higher fees are common with secured credit cards compared to unsecured credit cards because the card issuer is taking precautions in case of default by extending credit to consumers with a poor credit history. The credit limit for a secured credit card is based on the amount held on deposit to secure the credit card account. With unsecured cards your credit limit is based on your credit score and credit history. The security deposit serves as an incentive for the cardholder to keep current on their card payments. A secured credit card limit can be 50% to 100% of the security deposit. Some card issuers will even offer more than 100% of the security deposit as a promotional incentive. The credit card issuer can choose to use the funds held in the security deposit if the cardholder does not make their payments. Most credit card issuers will attempt to work with the cardholder before the funds are used. However, the funds are typically used from the security deposit once an account has become severely delinquent or has been closed by the customer. 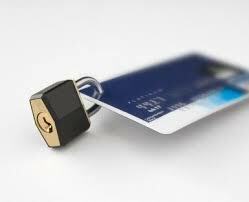 There are many similarities with an unsecured credit card. And the most important benefit is that the card is reported to the credit reporting agencies – Experian, TransUnion and Equifax. On-time payments will help consumers with poor or no credit build a solid credit history. Other similarities with unsecured cards is that cardholders receive regular monthly statements and even though a security deposit serves as collateral, regular payments must be made just like an unsecured card. Secured cardholders must also practice good credit management skills by not going over their credit limit. One major difference between secured and unsecured cardholders is that it is generally easier to qualify for a secured credit card because of the required security deposit. Some card issuers even have no credit check secured credit cards. Secured cardholders may find higher fees and interest rates due to the risk the card issuer is taking by extending credit to someone with poor or no credit history. The higher interest rates are basically due to consumers’ credit history. But the main reason is that low credit scores lead to higher interest rates. Because there is a higher risk to the card issuer the cardholder is going to have to pay for that higher risk.